There are many healthcare professions that follow the career of a CNA. The duties of a CNA allows exposure to a variety of healthcare career options, and provides a wide variety of hands-on training that allows a glimpse into the duties of these other professions. Advanced CNA – Entry-level CNAs may be able to move into the role of, for example, geriatric technicians, Restorative Care Aid, or a Medication Aid. Advanced job titles generally come with higher pay, making it an option worth considering. LPN – There are many CNAs that advance quickly into LPNs/LVNs, or Licensed Practical/Vocational Nurses by obtaining further training at an accredited vocational school, community college or four year university. RN – Although it is most common for an aspiring RN to receive an Associate Degree in nursing to reach RN status, one can also obtain a BSN – Bachelor of Science Degree in Nursing at many four year universities. 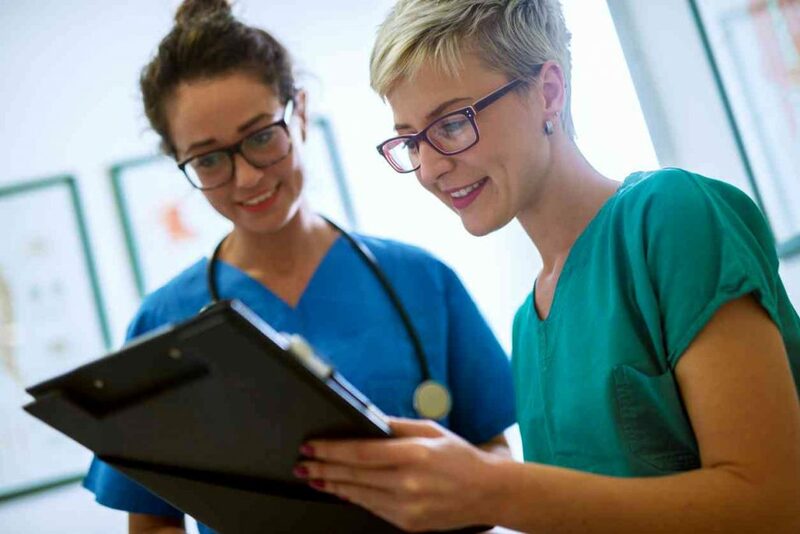 Administration – After experiencing the day-to-day duties of a CNA, you may decide that working closely with patients isn’t your calling, and your gifts lie elsewhere. A role in administration may be what you aspire to achieve. To get there, a Master of Science in Nursing, or MSN, is required. Teaching and Research – Some CNA’s move on to become professors, nurse educators, or researchers after completing more advanced education. Career CNA – Certified Nurse Assisting is a very noble profession, and will always be needed to help make a difference in people’s lives. While there are options to advance to other careers, as outlined above, it is by no means required. Regardless of your career aspirations, beginning as a CNA will give you a great foundation for your future in the healthcare industry.